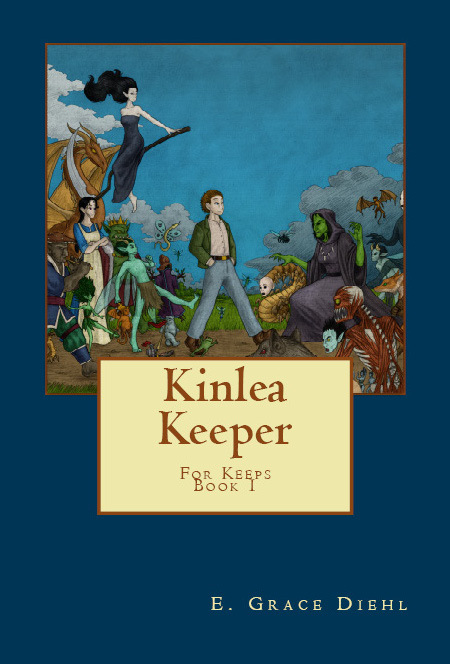 Kinlea Keeper is Back in Print! Greetings, all! Today, I have some very good news. Kinlea Keeper is back in print, and the paperback is available in a number of different places (including Amazon). The author sales page is here. I can say this, ladies and gentlemen… I have seen the book, and it is beautiful. Many thanks, always, and I do hope you’ll give it a read! -E.G.D. Tada! The whole paperback glory of it is forthcoming- E.G.D. Also, for the Americans in our reading audience, happy Independence Day- E.G.D. Any blogger/website owner who posts a review of Kinlea Keeper and informs E. G. Diehl via e-mail (egdiehl @ hawaii.edu minus the spaces) of its posting will be entered in a drawing to win one of two free copies of Curse. In your e-mail, please include a link to your post along with your name and the name of your website. With your kind permission, we will link your review to a “reviews” section that is under construction for this website. Brave New Year That Has Such People In It!